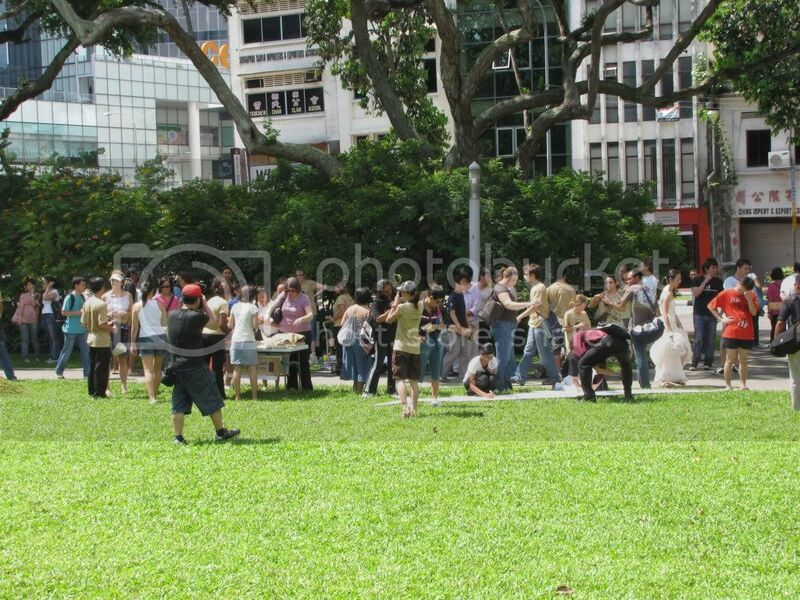 This is the message Mr Louis Ng, Founder and Executive Director for Animal Concerns Research and Education Society (ACRES), hopes to bring across at the first-ever gathering of animal lovers at Speakers Corner on Saturday. Ng, the speaker for the day, declared 18 April as the day Singapore “will show the world that sharks should not and should never have been exploited” and to start the lead for change. 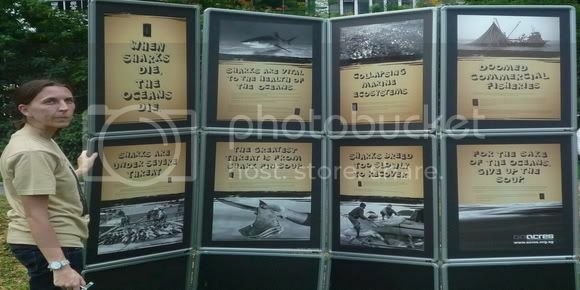 Calling the consumption of sharks fin and sharks meat a “destructive practice”, Ng exhorted Singaporeans to take it one step further, other than just rejecting sharks fin, and to be “advocates for the sharks”. Ng urged the crowd to share their reasons for not eating sharks fin with people around them. Ng painted a grim reality of 3,800 sharks being caught every 20 minutes for human consumption. “Let us stop whispering our concerns and let us start making our voices heard by speaking out. Let us take a stand, joining hands to start this movement and urge people to join us in making this important impact,” Ng said. Chng Chye Tuan is one who has taken up Ng’s call. Chng, an avid diver and conservationist, sees the need to protect the shark species. 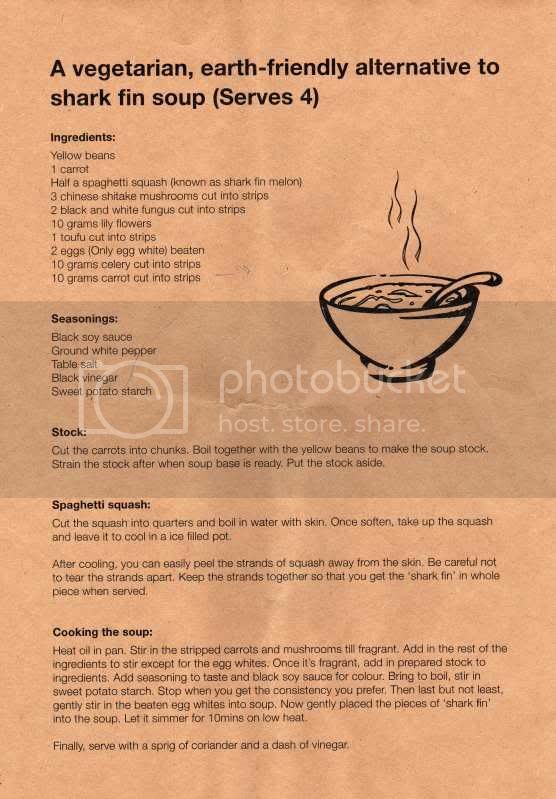 As such he has left sharks fin soup out from the menu of his upcoming wedding dinner. He also urges his friends not to consume sharks fin and hopes restaurants can offer a menu free of the dish to customers. Chye was one of the many attendees who showed up on Saturday in support of ACRES’ cause. Ms Jessintha Sasayiah, a teacher, came to lend support to the campaign though she admitted that the campaign wouldn’t change the number of people eating sharks fin immediately. The speech Ng delivered and the alarming facts and figures left a deep impression on her. For many others gathered today such as Mr Ng Weiren, Ms Bianca Polak and Ms Jnaneepriya K, the jenga blocks and their subsequent collapse proved to be the highlight of the event. The jenga blocks signify the ocean’s eco-system. 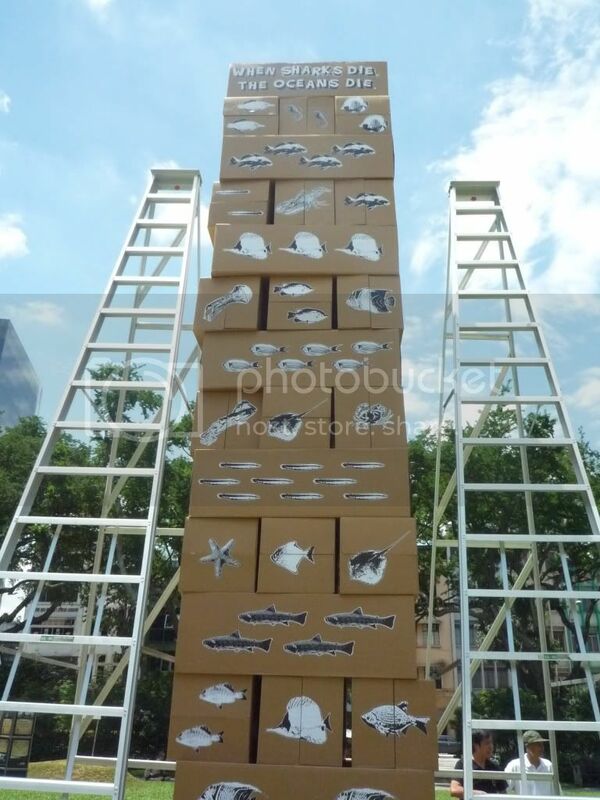 Blocks with pictures of the sharks were placed at the bottom of the tower and were followed by the various species of fishes and other marine life that comprises the ocean’s eco-system. The final block with the words ‘When Sharks Die, The Oceans Die’, was placed at the top as a reminder to those present of the importance of sharks to the ecosystem. Ng explained that the sharks that are in the lowest block help to maintain stability at the top. “If you take the higher blocks out, it will not collapse so soon…but what we’re actually doing is taking out the bottom pieces…it’s just a matter of time before the whole eco-system collapses,” Ng said. The block with the sharks was removed and the jenga tower came crashing down. The consumption of sharks fin is a cruel ancient tradition, she said. As with cruel practices of yesteryears that have been abolished, she sees no difference in abolishing the brutal practice of consuming sharks fin. Speaking to The Online Citizen after the event, Ng flags Saturday’s event as a “good start” and hopes to generate a knock-on effect whereby Singaporeans will do more in spreading the message against the consumption of sharks fin and the reasons so, such as the destruction of the eco-system. Meanwhile he hopes to bring the road-show around Singapore and into schools if possible. Ng is also working with restaurants around Singapore to remove sharks fin from their menus. He is optimistic that consumption figures will drop. “It’s time for Singapore not to just to focus on economic growth but for moral progress as well,” Ng said.